Dreamforce ’14 starts today! To gear up, we’re giving you the lowdown on some of the most exciting Dreamforce keynote speakers and events going on at this year’s conference (also see Neil Young , Max Levchin, Marc Andreessen & Jeremy Stoppelman). Today, get to know keynote Eckhart Tolle with these 8 fast facts! 2. Tolle’s two most popular works, The Power of Now and A New Earth, sold approximately eight million copies in North America combined. 3. Tolle’s worldview was shaped by years of severe depression. He spent his 20’s in England, plagued by suicidal thoughts. 4. Now known as “Eckhart,” Tolle’s birth name is “Ullrich.” He officially changed his name to “Eckhart” as an homage to German theologian Meister Eckhart. 5. In 2000, Oprah recommended Tolle’s first book, The Power of Now, in her magazine. By August, the book had reached the New York Times Best-Seller list. Never underestimate the power of Oprah. 7. As a thirteen year old in Germany, Eckhart refused to continue to go to school. He saw the school as a hostile environment and decided to learn from home instead. From there he studied literature and became tri-lingual, speaking English, German, and Spanish. 8. Eckhart’s self-help philosophy focuses on releasing the ego, which will lead to personal happiness. 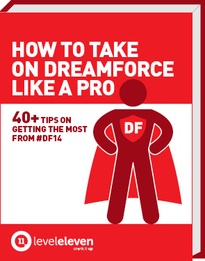 Let’s shoot for an ego-free Dreamforce ’14! Get to know Dreamforce keynote Eckhart Tolle with these 8 fast facts!